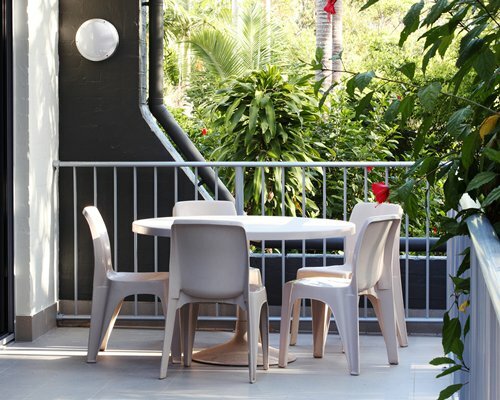 Adjacent to Noosa's famous "Little Cove Beach," Palm Court is also just a gentle stroll away from the central area of Hastings Street, with its fine dining and boutique shops. 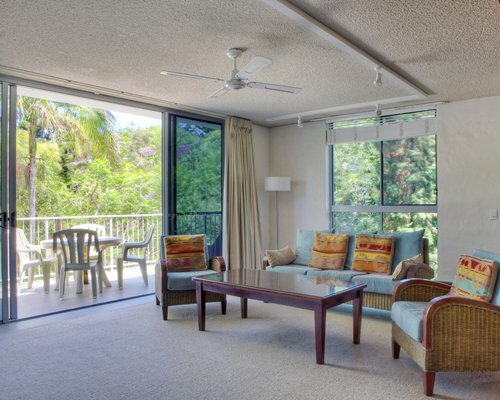 Style, seclusion, and a spectacular setting -- Palm Court has it all! 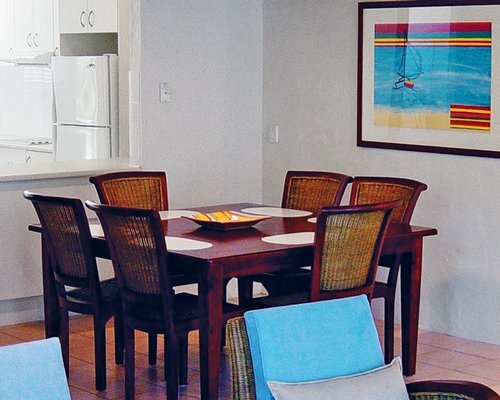 Each unit at Palm Court is a self-contained unit of 3 bedrooms, accommodating up to 6 guests. 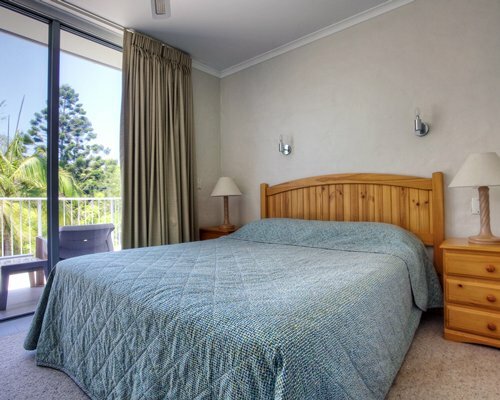 Bedrooms are located on the second floor, with en-suite bathroom facilities in the master. 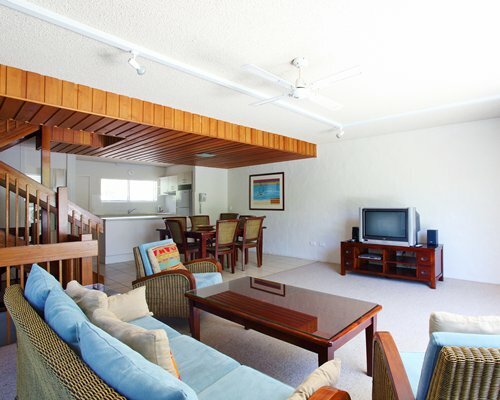 Downstairs, a large kitchen and huge living area provide the comfort to move about and live as you would at home, with the added benefit of a spacious balcony and private BBQ, all overlooking the landscaped grounds of the resort. 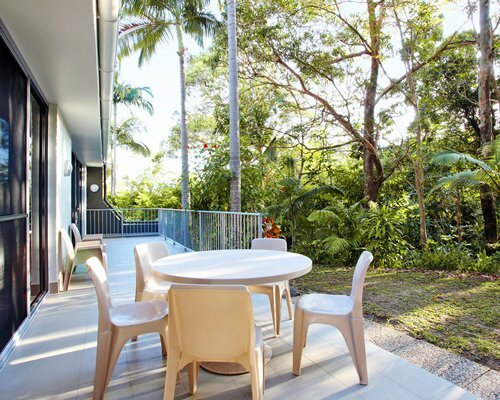 On Queensland's Sunshine Coast, vacationers find a holiday destination with beautiful beaches, great climate, water sports galore and a wealth of sightseeing attractions.Noosa has many first class restaurants offering international cuisine and fascinating boutiques. 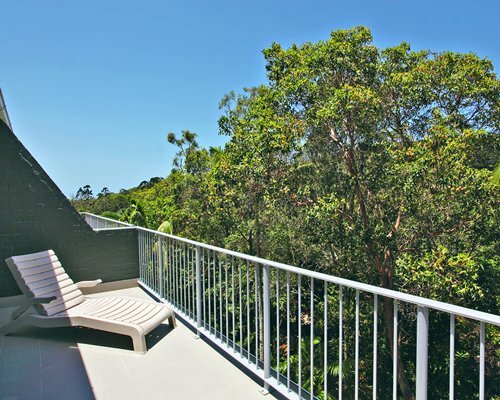 The Sunshine Coast offers many activities. Spend a day at The Big Pineapple, the famous Teewah Colored Sands, or take a trip to Fraser Island. 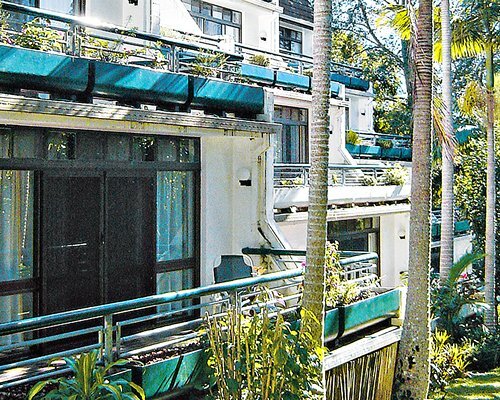 Drive to the lush hills of the hinterland where many cottage industries thrive. 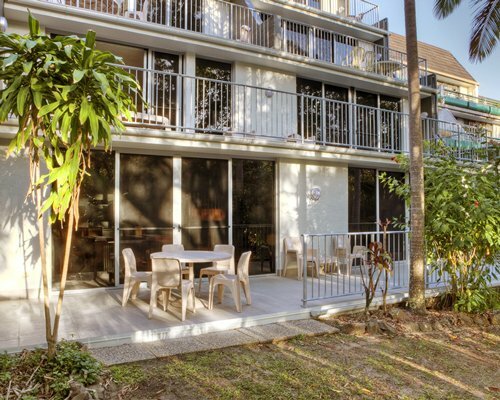 The nearest international airport is in Brisbane about a 1 1/2 hours'drive away. 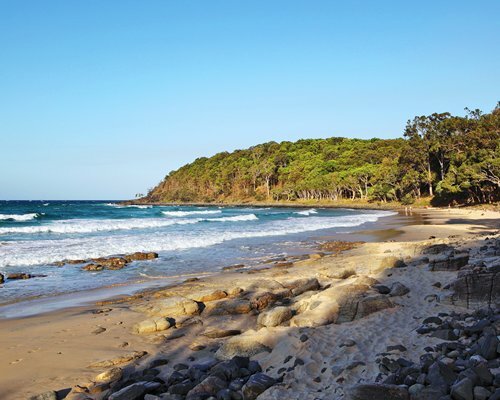 Take Highway 1 (The Bruce Highway) to Eumundi and follow the signs to Noosa Heads. From Noosa Tewantin Road turn right into Hastings Street then left into Park Road and follow this around until you reach Mitti Street on the right. The resort is at the end on the right hand side of the street. On-site construction or remodeling may disturb guests from April 26, 2019 to May 24, 2019. Unit 13 is undergoing refurbishment. There may be some noise disturbance during scheduled works. On-site construction or remodeling may disturb guests from May 24, 2019 to June 21, 2019. Unit 14 is undergoing refurbishment. There may be some noise disturbance during scheduled works. On-site construction or remodeling may disturb guests from August 16, 2019 to September 13, 2019. Bathroom is undergoing refurbishment. There will be some noise disturbance during scheduled work. On-site construction or remodeling may disturb guests from July 19, 2019 to August 16, 2019.